Throughout the week leading up to the Night of Kindness, the Spirit will be unveiling videos of players expressing what kindness means to them and sharing stories of kindness from their own lives. 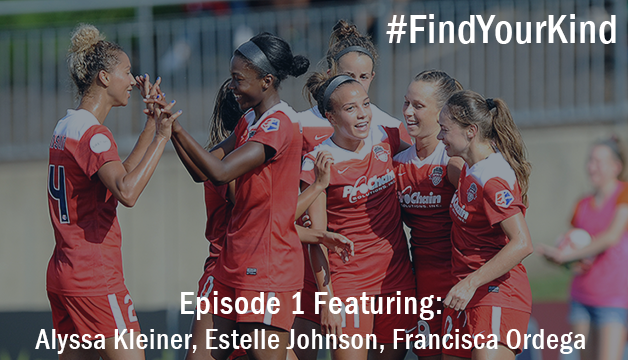 Videos will be posted on the Washington Spirit YouTube channel along with other social media platforms. Fan Contest: Fans are encouraged to submit their own 30-second videos sharing a moment of kindness from their lives on Twitter and Instagram with the hashtag #FindYourKind. Fan submissions will be randomly selected for giveaways throughout the week, with prizes including a team-signed poster, two team-signed scarves, and a pair of Field Side tickets to Saturday’s game against Boston. Watch Alyssa Kleiner, Estelle Johnson and Francisca Ordega in the first of three #FindYourKind videos featuring Spirit players.